We are now deeply involved in this crucial period of business : Christmas will be there in a few days time. On Christmas period, some e-merchants will do almost 50% of their annual turnover so it’s very important to put in place any idea that can increase confidence in your product or service offer. By doing so, you will be more likely to sell to one of the 70%+ of people shopping online for Christmas in Western Europe. Here are 10 tips to implement rapidly to rock your Christmas period. Only experience can and should help you determine why and when people will come to your website to actually spend money. Though, some tools can help better anticipate it during the year. You can take an hour or two practicing advanced segmentation in Google Analytics and analysing previous Christmas periods so that you can adapt to the expactations of those visitors and increase your average revenue per visitor. To increase your average basket price, one of the best things to be done is to provide your visitors with a product suggestions area where an algorithm will suggest complementary items. This area can display different types of products, last bought by someone, or the best rated ones. Such “suggestion box” can be very efficient when associated to a feedback or comments area on product pages. Major e-commerce websites experienced that showcasing special offers regularly has a very strong impact on business. You can also add a count-down to your offer to increase the feeling of urgency. This can be an effective way to convince hesitant visitors. A free shipping weekend on the first week of December is also a good way to create a rush before it actualy gets urgent. Usually, Free shipping weekends are organised on the weekend when the last orders can be shipped with a guaranteed delivery before Christmas’ Eve. But you can also anticipate and do it on the first week of December to better distribute orders throughout the month. In any case, make sure you communicate about the operation 3 weeks in advance through all possible media including blogs, Twitter, Facebook and partners. 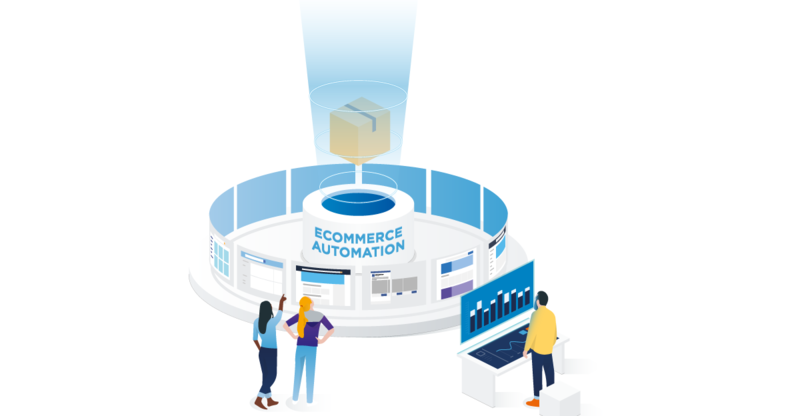 Many blog posts have already covered the impact of loading speed e-commerce performances. Revenues are highly correlated to the time product page take to load in visitors web browsers. Experts have estimated that when pages load 100ms faster, e-merchants net revenue increase by 1% over a year. That said, we recommand that you take special care of your product images so that they are both helpful and lightweight for your visitors. The images should help reassure visitors by displaying the products from every possible angle, but they are certainly not meant to discourage people from visiting your website due to extensive load time. Images for the web should be around 100kb. We’ve covered the matter of loading speed already. It’s one of the key factors of success at Christmas period (but also on any busy period of the year) because people are in a rush to find the products they need. Think about how many trackers you need to add to your product pages to provide accurate tracking of data and analytics. This number truely has a negative influence on load speed. Not to mention the setup fees of an agency if you ask them to install the trackers for you. Why not using a TagCapsule? Lengow puts at your disposal a unique tracker which encapsulates all your partner’s trackers. The pages of your website will now include just one tag with asynchronous loading to provide your visitors with better experience of shopping on your website. Plus, you no longer have to call upon your technical team to set up new tags! Never. At Christmas period, and on the web more generally people want to go straight to the point. At this time of the year, they are looking for the ideal present but people also want to be sure that all the details are correct and they’ll be charged and delivered on time. You may consider displaying important information directly on product pages, available at first sight. It will contribute to reduce email enquiries or phone calls and cart abandonment. In the meantime, you should reorganise your FAQ and add a “Am-I-going to receive my order before December 24th?” question for example. A 404 page (“404” stands for the type of error on the page) is where your customers land when they navigate to a URL that doesn’t exist on your website. While your 404 page may seem unimportant to you, poor treatment could actually be leading to a spike in your abandoned carts. 404 pages should be informative and helpful to your visitors. You can provide your visitors with a way to get back to navigate through your site instead of feeling “lost”. Instead of a standard browser error page, you can engage visitors with a nicely designed page offering helpful (or even entertaining) information and links to relevant pages on your site such as product categories, main menues or research bar. Within the next 4 weeks, the quantity of emails received by consumers will explode. You have to adapt to this mass of messages to compete. We suggest that you customise your general communication templates to bring the Christmas colors to it. Such graphical elements will ensure receivers that the message matches their current expectations regarding Christmas shopping. Gift cards are both a great additional source of revenues and a smart way to promote your brand. Gift cards represent almost 10% of Christmas gifts in Europe. It is very important to offer this alternative to visitors who are shopping for someone else’s gift. They might not necessarily know the other person well or could be unconfident about their choice. Anyway, gift cards solve these problems, it can be physical or online and will make your brand discovered by someone else, an entire family of potential new customers. In Lengow, you can set up your feeds in anticipation of Christmas. You can implement specific offers during a certain period of time in order to automate specific offers and apply all the parameters in the same time. You can set a “free-shipping” offer in a matter of minutes on all ecommerce channels you are currently selling through. All prices can also be modified either one by one or in groups.